Bianca achieves a huge milestone in her life, This will inspire many!! Home/Success Stories/Bianca achieves a huge milestone in her life, This will inspire many!! Bianca came in last fall and was ready for change! She was friends with Brandi Wisdom and had been picking her brain for awhile until she finally pulled the trigger and came in! Some of you may recognize and know Brandi (the stunningly beautiful girl with the amazing transformation). She went through Hitch Fit 2 years ago – I saw firsthand her drastic change in a short amount of time and watched her ability to maintain. As she was going through her transformation, we had several conversations regarding what it was about – these helped me to understand what this program truly was, and the commitment and dedication it required. After Brandi, several others I knew also went through Hitch Fit… I was a fan, but was on the sidelines as I knew I wasn’t ready. Fast forward to Summer 2012… From the outside looking in, everything was great – I was married, had a great career etc. Inside though, I wasn’t happy – at all – and my physical appearance reflected that. I had always been fit and height/weight proportionate, but that had changed over the past few years. I could blame getting older, metabolism, or not playing Roller Derby anymore but truthfully it was from being unhappy. One day, I looked in the mirror and I didn’t recognize myself physically or mentally… it was depressing to say the least! I decided to get off the sidelines and start Hitch Fit. I was lucky enough to be paired with Sean. I can’t express enough how much this was a true blessing. Sean was unbelievably patient with me and knew how to push me to my limit, but without breaking me. I smiled more in the first 2 weeks of Hitch Fit than I did the last 3 years of my life. True statement. Workouts went well, motivation was high, and I followed the eating plan 100%, but the struggle for me was adjusting to the eating schedule. Growing up, we didn’t have alot of money. Honestly, we were straight up poor. We bought groceries once a month when my mom got paid, and when we were out – well, we were out. My parents were too proud to ask for assistance through the school or anywhere else, so I became used to eating once a day and that bad habit continued into my adult life. I’d never planned ahead with my meals, nor regimented myself to eating on a regular schedule. If I hadn’t eaten all day (which was most days), I’d go slam Chipotle or Sonic and then go to bed after downing 1000+ calories…not good. Sean instructed me to eat 5-6 times a day!! 5-6 Times!!! That meant eating when I got up, again before lunch, eating lunch, again before dinner, and then dinner… plus another meal in there on workout days! Just looking at the food turned my stomach – I was NOT hungry… but as he worked me harder and the trainings became more intense, that started to change. During the 5 years I played Derby I was highly physically active, but didn’t eat clean – one of our favorite sayings in Derby is “Blockers need cookies” (and they do) if that gives you any idea.. After Derby, I reduced my quantities but didn’t change what I was eating. I LOVED my Sunday date with Chipotle every week, and LIKED making homemade pina coladas, fajitas, etc…. I just didn’t realize how many calories those things had, nor how unhealthy most of my choices were. Going through this, you learn a lot about different foods, and why what you thought was healthy isn’t – you also learn how to make better choices at all times. Now when I want something sweet, I reach for blackberries instead of cookies (I seem to have become a blackberry fiend)!!! In addition, I probably picked the worst time of the year to start a clean, regimented eating plan – it covered the American Royal BBQ (my fav! ), Halloween, Thanksgiving, Christmas, New Year’s, Valentine’s, St Patrick’s Day, and Easter… add to that 3 work trips and 2 BBQ/Happy Hours I hosted. Each Holiday, travel block and BBQ tested my commitment, but I was doing this for myself and no one else which meant I let myself down if I lost focus. I wanted the results and had to stay on track to achieve them. On the personal side, a few weeks after starting Hitch Fit I experienced one of the most painful/stressful/trying times of my life. I had a choice – I could continue with the program or I could make excuses, give up, and drop out with everything going on in my personal life. Normally I would have relieved the stress, negativity and frustration like most – going out to bars, eating bad, not exercising – all things to stay preoccupied to avoid dealing with life. Sean kept me focused and motivated to stay with it when it was honestly the last thing I wanted to do. There were days I didn’t even want to get out of bed… let alone work out, or tell myself no to comfort/junk food. Even harder was telling my friends and family “No” when (trying to help me through this time) they wanted me to go to the bar, have a drink with them, or go party. I kept reminding myself that I started Hitchfit for a reason. I set a goal and committed to it, and I had accountability to myself and Sean to finish it… regardless of what I was going through. Results started to happen fast and kept at a steady pace for several weeks. Then we hit a plateau. There were several trying times throughout the months but I know it was 100% mental for me. I never truly realized how much stress affects the body and have a much greater appreciation for the importance of maintaining a healthy lifestyle. Life throws a lot at you and you cannot control everything around you…but sometimes we are our own worst enemies. I’ve learned that I do control my health and my lifestyle and in doing so, am better equipped to handle the trials and tribulations that come my way. Sean and Hitch Fit get all the credit for this transformation – I literally showed up and did what Sean told me to do. I didn’t second guess anything he said, nor did I question his instructions. My brain switched off when I walked through those doors – most of the time I couldn’t even remember what exercises we were doing in-between sets. Sean showed unending patience with me… and my lack of coordination! There’s a reason the only organized sport I’ve ever played was Roller Derby, and why swimming and horseback riding are my favorite activities- none of those involve a ball or eye/hand coordination!! Even lunges proved to be a challenge at first…I can do lunges on skates no problem – but in the gym – not so! I think I looked like a newborn foal trying to stand for the first time… but no one made fun of me and everyone there was extremely positive and supportive. If I can be successful despite all the obstacles and trials that came my way – anyone can. Its a matter of truly wanting to change and making sure you are ready to take on the challenge – then committing to it and holding yourself accountable for it. For me, this transformation was not only physical, but also extremely mental. I’m happier, healthier, and more relaxed than I have ever been and now possess the knowledge and tools to ensure I stay this way. My deepest gratitude to Sean and Hitchfit, and also to Brandi for being my original inspiration and trailblazing the way for so many others. 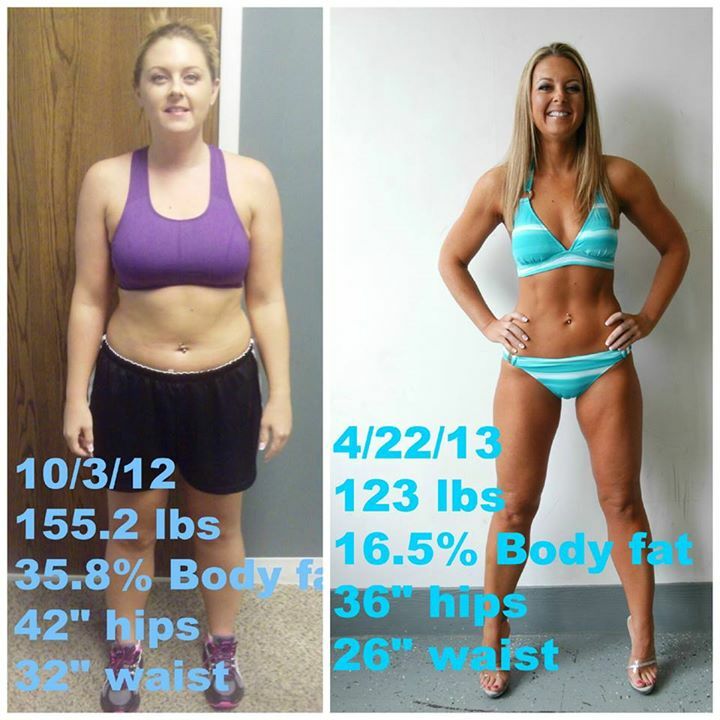 Ready for your Hitch Fit Transformation?